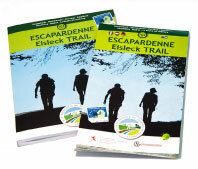 The great hiking route Escapardenne Lee Trail, 53km long, forms part of a programme that aims to enhance an existing quality cross-border product, namely the Escapardenne Eislek Trail – 104km which link Kautenbach (L) and La Roche–en-Ardenne (B) – and its six loops, by connecting them namely to an important tourism centre in the North of the Grand-Duchy of Luxembourg: Ettelbruck. Signposted in both directions and divided up into 3 days of walking, the ESCAPARDENNE Lee Trail passes through ten small villages or hamlets to link the village of Kautenbach and its train station. 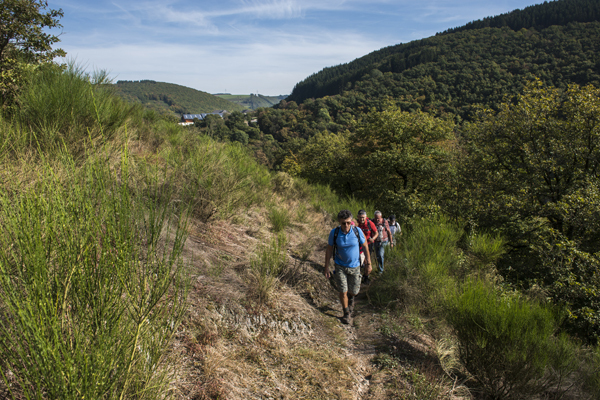 This long trek that crosses the Ardennes of Luxembourg, known as “cut up” – the Ardennes plateau being threaded with watercourses and deep, encased valleys – is loved by all walkers in search of heritage, nature, culture and, of course, the countryside.